Are you thinking of buying a home in the Harrison, MI area? Finding the right home can be a difficult process but no matter what you are looking for. 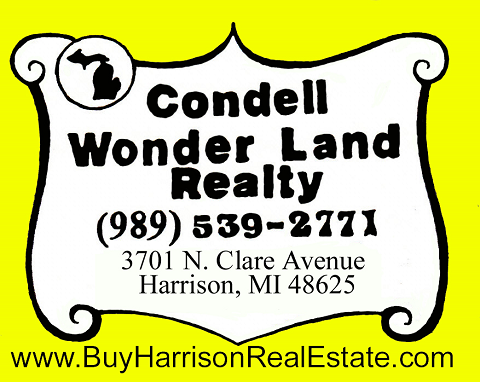 Condell Wonder Land Realty has a staff of experienced Harrison, MI real estate agent's, can provide you with the resources you need to make the home buying process simpler, from specific Harrison, MI neighborhood information, to tools to estimate your mortgage payments, and buyer resources and articles that will help you through the home buying process. Any questions please contact us!